To its credit, China implemented a couple reforms this year. Does this mean it will let markets rule? Most likely not, because when push comes to shove, China will stop reform and subdue market forces. Case in point: The central bank and regulators now micromanage the foreign exchange market and have suspended at least three foreign banks from foreign exchange trading until March 2016, according to Reuters. They also asked banks to disclose names of clients with the intent of stopping state owned enterprises from buying foreign currency. “They are worried about falling foreign exchange reserves. The yuan faces obvious depreciation pressure as the Fed [U.S. Federal Reserve] may continue to raise interest rates, so policymakers are concerned and intend to take effective measures to respond,” a senior economist at a think-tank linked to China’s Cabinet told Reuters. Massive capital outflows have pushed the onshore and the offshore yuan down to levels not seen since 2011. Some people in China’s regime might welcome this move, as it could boost exports and prevent mass unemployment. “Capital flows depends on China’s economic fundamentals; we shouldn’t worry too much about short-term capital outflows if we are confident about our economic fundamentals. The direction of capital account reforms will not change,” a government policy advisor told Reuters. Some others want to micromanage it, fearing outflows may spiral out of control and hurt the country’s economist stability. Because of the economic law of the impossible trinity, China can’t have a stable currency, independent monetary policy, and a free capital account at the same time. For now, it seems policy makers sacrifice the free capital account—originally on the reform agenda—for a stable exchange rate. 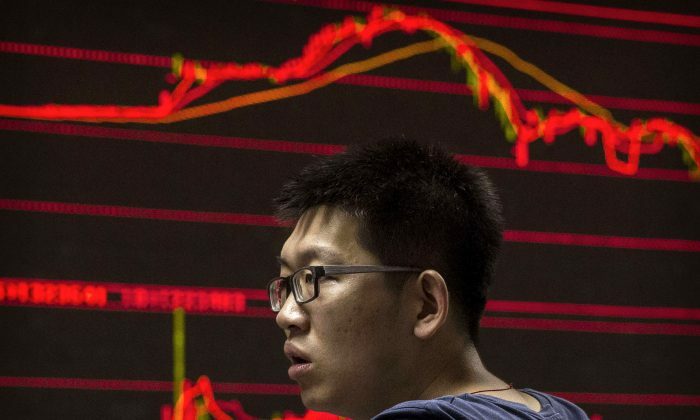 Was 2015 a Historic Turning Point for the Chinese Economy? In November, “Red Capitalism” author Fraser Howie said China hasn’t really been tested with regards to letting market forces play out in the foreign exchange market. Judging from the reaction of Chinese authorities to the continued drop of the yuan, we now have a crisis and we also now know how the authorities respond.